Is the Paleo/Caveman Diet right for YOU? 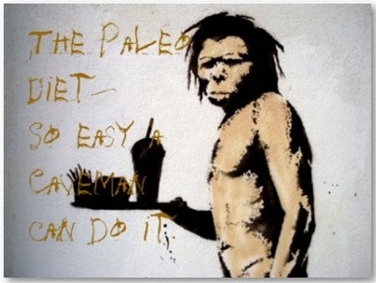 In case you haven’t heard already the Caveman/Paleo diet is really picking up steam and becoming VERY trendy right now. However, just like all diets — there’s always a catch. Before I get to the catch, I’ll let you know right up front that I’m not here to “hate” on the Paleo/Caveman Diet and I realize there are dozens of ways to skin the fat-loss cat. In fact, I agree with over 90% of what the Paleo/Caveman style of eating teaches. However, if you’re consistently engaging in high intensity exercise this diet has a HUGE hole that needs to be filled otherwise your fat-loss and energy will come to a screeching halt. Before I dive into the science and expose the BIG problem with this type of eating plan…or “diet” (btw…hate the word diet but it will never go away) let me quickly explain this style of nutrition in case you’re not familiar with it yet. What is the Paleo/Caveman Diet Anyway? The Paleolithic (or Caveman) diet is a modern approach to nutrition based on what humans ate during the caveman days about 2.5 million years ago. This is also called the Paleolithic period (hence the word Paleo) and it ended about 10,000 years ago when the development of agriculture and/or farming food started to take over. Now this seems like a great approach for a few obvious reasons. It automatically eliminates grains, wheat, corn, processed sugar etc. all which have “anti-nutrients” and hidden obesity additives. It’s “all natural” and very low in complex carbs and certain fruits. It’s actually a very smart approach to nutrition because it eliminates all processed foods. Refined foods have weak effects on the hormones that regulate appetite and energy intake. Plus they can tend to wreak havoc on our systems. This alone will be enough for anybody to get better results. Wanna lose more weight or stomach fat? Just cut out all processed foods (cereals, breads, pasta, muffins, bagels, etc.) and watch what happens to anybody’s body fat. I guarantee you’ll see your stomach start shrinking in less than a week. From everything I’ve read, the Paleolithic diet eliminates starches and all fruits besides berries. This is the biggest problem I see with this approach because it doesn’t take into consideration the effect high intensity exercise has on our metabolisms and our hormones. But if you’re active, you should be adding in some strategically timed low sugar, gluten-free starches and fruits to the Paleo/Caveman approach. The best choices are sweet potatoes, potatoes, rice, bananas, cherries, grapefruit, oranges, and organic apples. I’m sure I left out a few fruits but you get the idea. I personally prefer “white” starches and fruits like bananas because they contain pure starch and the glucose polymers our bodies need to fuel anaerobic metabolism and help with recovery, hormones, and insulin. This fuels and facilitates a process called “glycolosis”, which is SUPER important for long term fat-loss. You see, even though white starches like rice and potatoes really aren’t caveman foods, they provide the purest, most natural source of glucose than any other food. In fact, glucose is one of the oldest evolutionary fuels on the planet. We use it as an internal fuel source and it’s the building block of foods, even as far back as the caveman days. Now if you’re a diabetic, this isn’t going to apply to you because you have insulin resistance. Your best bet to lose weight is to simply cut out pop, breads, and all processed foods and you’ll probably lose a boat load of weight your first few days as long as you’re eating healthy and exercising. But if you’re healthy, your body knows how to process and use glucose. So if you’ve started losing some weight and you’re consistently using strength and interval training, over time you dramatically improve your insulin sensitivity. This means even as you start to lose weight and get leaner, your metabolism changes. And when this happens you gotta “get smart”, which means you have to customize, tweak, and adjust your plan as to fight adaptation. Burn more lower stomach fat. So along with the Paleolithic choices, white starches and whole fruits right from nature should consistently be a part of your plan if you’ve already started to lose some weight and you’re exercising consistently. They serve as awesome anaerobic fuel and promote anabolism, which helps with glucose metabolism, protein synthesis (absorption of protein), and muscle growth. …Just make sure you hit the “like” button below and I’ll be back with THREE tricks you can use to make white starches and whole fruits ENHANCE your fat-loss. In the meantime, check out this short video from one of my good buddies and fellow nutritionist Josh Bezoni, where he reveals how you can visually “see” your belly get flatter in only 7 short days by doing a few simple food swaps. Make sure you drop a comment if you have questions and hit “like” and I’ll be back tomorrow to tell the rest of the story. Hi Shaun: Great article (as is pretty much the usual case with you!!). The thing to bear in mind is that Paleo / Caveman eating is just like every other ‘diet’ plan – there are lots of ‘flavours’ and the adherents range from the sensible to the absolutely fanatical!! It tends to be the folk towards the fanatical end of the spectrum who do the ‘no potato, no fruits but berries’ talk and folk like Mark Sissoon of Primal Blueprint fame who sit much more comfortably in your corner by not being quite so insistent!! Despite the best archaeology our knowledge of the ‘primal’ diet is not complete but commonsense suggests that eliminating anti-foods and processed foods and eating veggies, fruits, nuts and protein has got to better for us that what laughingly passes as a western healthy diet!! I agree with you. If you are working out with weights you will definitely need more carbs. But you can of course cycle these – eating them on training days and avoiding them on off days. 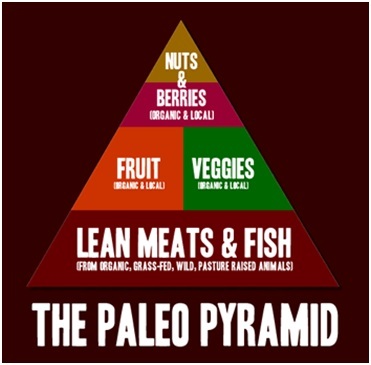 Great tips on the Paleo approach to nutrition and eating right. I find it: however, odd that you believe rice and potatoes are healthy, good choices of starches. Perhaps my opinion is based on modern nutritionists stating to avoid these like the plague. Are you referring to sweet potatoes and wild rice, or indeed, also white rice and normal potatoes? I know that carbs are needed early in the morning with protein from your teachings, but if you could address this, it would be really beneficial to my understanding of healthy nutrition. Which type of carbs/starches are needed, if at all, in the approach you are proposing? Thanks a lot for the tips and the training program! I am follower of Eat Stop Eat, but consume only the foods in the Caveman diet, so when do I eat a banana? Right after my workout (like a supplement) or just incorporate it into my next meal. Also, can I eat a sweat potatoe instead? I am so glad you are stepping up with your views on other fat loss diets. You are my #1 go to guy, when I am looking for insight and knowledge of how food and exercise work together. When I saw recommendations for paeleo approaches I knew you would have a twist on how to make it fit your philosophy… By following GL 14, and reading your blogs, I have dropped 30 lb and I am only 8 lb fom my goal… But what is better is that I see it not as a verb “diet”… I view this as my lifestyle change and have employed your solid philosophy and knowledge through out my family ‘s Diet ( the noun meaning our daily intake of food ). I’ve followed your meal plans for 4 months and getting awesome results! Now working on the last stubborn bits and still making consistent progress. I especially like the fact that you laid out each days meals for and the carb cycling stages. You’re dead on bro. Every nutrition plan on the planet is designed – in one way or another – to ultimately put your body in a calorie deficit. Paleo is better than most because of what you cut out…and the nutrient dense all natural choices you replace it with, but it’s still designed to burn off more than you’re taking in. Ultimately most folks will hit a plateau if they exercise consistently on this plan. You gotta keep those hormones happy and your metabolism humming along by cheating at least once a week and getting some good ole’ pure glucose from natural starches. Thx for the feedback man. Appreciate the positive comment. Keep going strong. Hint…you’re thinking in the right direction. 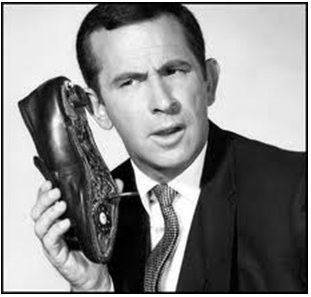 Keep an eye out for your next email or check back tomorrow. Have a great day. You got it bro…I’m referring to the white stuff. You just have to know how to prepare them, time them, and combine them all the right way. Wow. Thanks for the awesome comment. I just love sharing my passion about the fat loss truth, but it’s the action takers like you that inspire me. You can lead the horse to water…but you can’t make em drink. lol. I applaud you for applying my philosophies — and “congrats” on the awesome results. Impressive. When we eat whole starches, if it’s brown rice or quinoa or any hard, whole grain, our ancestors….not as far back as paleo but say, back to Jesus’ time, soaked all their grains over night before grinding or stewing them. This is covered in a book called Nourishing Traditions (the cookbook that challenges politically correct nutrition and the diet dictocrats) by Sally Fallon & Mary G. Enig printed by New Trends Publishing,. My copy was printed in 2001. Shaun, you would love this book. I’m also using a small version of the older Vita-Mix ‘blender’ called a Nutribullet and following their 6 week course but I add a little whey powder protein or an egg and throw in about 3-4 Tbl/day of coconut oil because my mind is starting to falter. Would you comment of Duncan diet. I have started your plan and am convincing two of my friends to switch to it but since I have just started I haven’t lost signifincant weight yet (just couple days ago) but they’ve been on Duncan diet for 3 months and lost lots of weight. Help me convincing them that after they end Duncan diet they will gain all the weight back but with your’s I won’t because my metabolism won’t be damaged but in the contrary it will be activated. On point article! Looking forward to tomorrow’s article on the timing of the fruit/starch consumption. I usually eat my starches/fruits in the evening and train fasted in the morning so I am interested to read more insight on it. No offense, but did you happen to LOOK at the pyramid you posted, or the quote on Paleo? BOTH state that Paleo includes fruit. Not just “berries”, as you are claiming. You included these 2 sources of information, therefore your whole entire article has no actual basis at all, unless all you’re trying to say us that we should add rice and potatoes. Not exactly a reason to claim holes in the Paleo Diet nor to even write the article in the first place. IMO, of course…. Impact Carbs | What are They and Do They Count?